Looking to get on Board? Please email us (sunshinecoastyachtclub@outlook.com) if you are available to crew, so we can post your availability as soon as possible. Please provide brief information about yourself within your initial query, including details of experience (beginner, moderate experience, experienced), so we can find the most suitable position for you. Alternatively, if you find you are able to race at short notice please just show up to our SCYC club room at the below times. Click the button below for a map and our contact info. All are welcome –guys & gals, young & old, inexperienced to the very experienced. Most days you will be back at the SCYC club room by 3.30-4pm, but return times may vary depending on the wind, it is sailing after all! Remember to bring a drink, sunscreen, wet weather gear (if you have it), closed in non-marking shoes with good grip and food (if you think you will get hungry) & get ready for some fun! 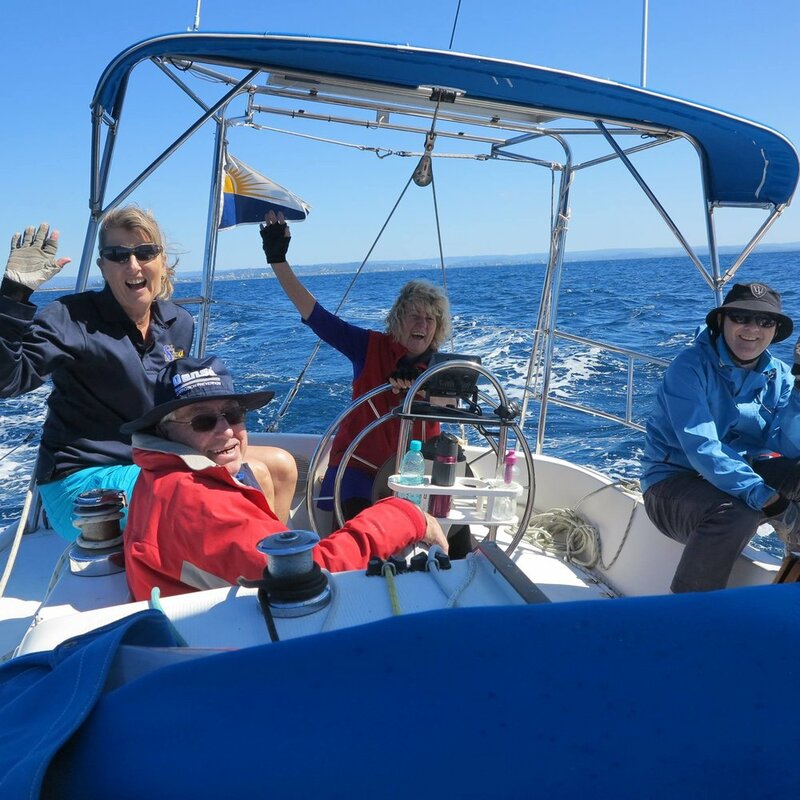 A Social Membership fee of $30 entitles you to three introductory sailing days after which you are welcome to upgrade to a full sailing membership by paying the difference in membership fee. For Membership details please click the button below. SAMS (Sunday afternoon) races start at 12:30pm. *all crew need to sign on in the SCYC club room prior to sailing. Skippers may either sign on in the SCYC club room or over the radio- channel VHF69.